When you’re ready to shop for a vehicle, you know that you can’t beat the amazing performance, comforts, features, and reliability of an INFINITI. These luxury vehicles will help you have total command of the road thanks to their amazing engineering and design. If you’ve got your eye on new INFINITI cars in New Orleans, LA, you can either buy or lease a model. You may struggle to know which method is best, so consider what type of shopper typically chooses one option or the other. If you don’t want to pay with cash or aren’t in a position to do so, an auto loan can help you get into the perfect new INFINITI cars. Some people may not like the idea of the obligation of a monthly payment. The good thing about buying your car is that if you stay on top of your payments, you’ll soon fulfill the loan and pay it off. At this point, you won’t have to worry about this monthly bill, and you can keep that hard-earned money for yourself. On the other hand, if you lease, you’ll always have that monthly obligation. While leases come with mileage restrictions (usually 12,000 miles a year), you won’t run into this issue with a car loan. When you know you’ll probably drive more than 1,000 miles a month in and around New Orleans, LA, it’s a good idea to lean toward a purchase instead of a lease. You can put on as many miles as you’d like when you buy, but you’ll have to pay a penalty if you exceed the mileage mark with a lease. New INFINITI cars eventually start to age and show signs of wear and tear, no matter how well you maintain them. When you lease, you can get a new model every three years. This way, you’ll always drive a model during its prime years. Because you’ll always have a new car when you lease, you’ll have warranty coverage to take care of repair costs. You can avoid costly trips to the mechanic shop in New Orleans, LA, when you decide leasing is best for you. With these guidelines, you can make a wise choice when you’re looking for new INFINITI cars to drive in New Orleans, LA. 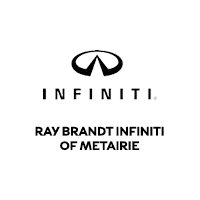 If you need more guidance, let the team at Ray Brandt INFINITI help you out.